This is a multi-use park that is open to mountain bikers, equestrians, and hikers, so please observe proper trail etiquette while enjoying the trails. The trails in this 500+ acre park are in 2 separate sections joined together by restored grassy prairie. They are a mixture of hard packed dirt trails, several small rock gardens, and a few rocky creek crossings. The front section is accessed via the concrete bridge that is just off the first parking lot. 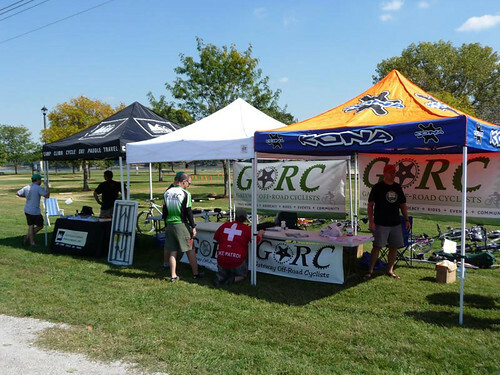 It's a mixture of wooded single track and open meadows, with several short but steep climbs. Rocky in the beginning, it switches to a dirt base as you start up the ridge. The trail then follows the contours of the meadows to the second section, making for a fun, but quick trip to the wooded area in the back of the park. A winding, dirt hillside trail, mixed with rocks leads to a creek crossing, then a rocky ascent as the trail meanders along another ridge line leading to a picturesque view of a local equestrian farm and pond. This section features a wide swooping turn which leads back across the power line alley that divides this part of the trail. 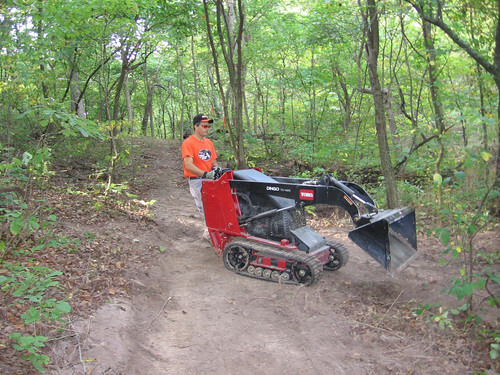 St. Charles County Parks operates a Trail Conditions Hotline detailing the current state of the trails in all of their parks. 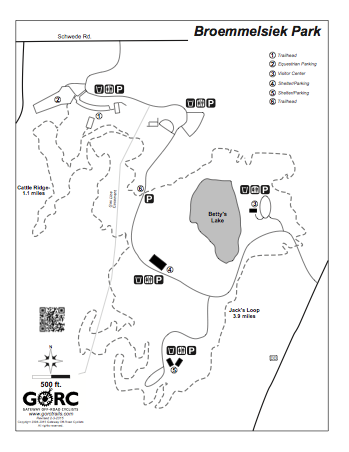 Please call 636-949-7475, opt # 4 to check trail conditions. Go approx. ½ mile, Parking for Park is on the right side of road. Composting toilets, water fountains, playgrounds, and pavilions with grills and electric access. Trail is frozen and rideable but be advised, 80% of the trail is trashed with foot pock holes that have now frozen and become ankle breakers. I don't know why this trail is open. I brought enough clay home with me to make a complete set of pots and dishes. The pasture sections are truly a muck up. Very nice, maybe 1 squishy part but not even worth mentioning.. so forget I said it. Sign said closed, but SCCP website said open. Called the office...open. REALLY NICE.